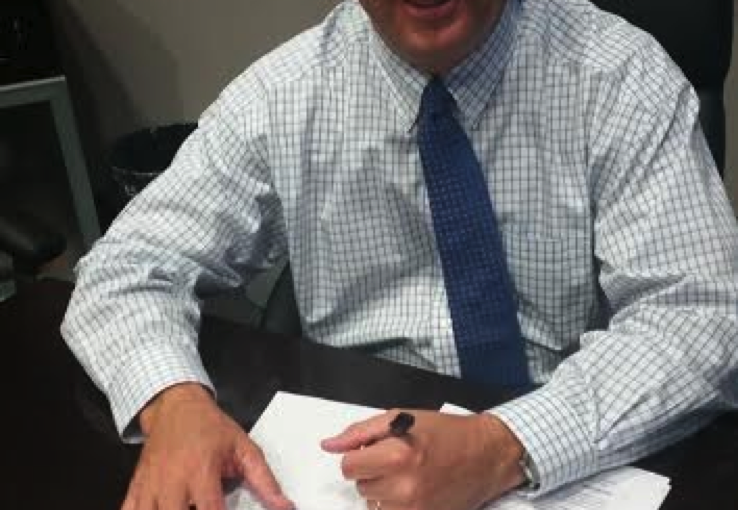 Mesa City Manager Chris Brady signing the city's Open Data Management Policy. As a part of its participation in the What Works Cities initiative, Mesa, Ariz., has made major progress toward establishing a comprehensive and sustainable open data program over the past several months. Last fall, Mesa adopted an open data policy, and today — just in time for open data day 2016 — the city has taken another step in advancing its open data work with the launch of a new open data portal. The new open data portal helps inform citizens about city initiatives, including recently established strategic priorities, which can be easily viewed on the portal’s homepage. The city’s open data team aimed to ensure the new portal included features that would make it both visually attractive and easy to use, promoting opportunities for residents to interact with the data. The portal features user-friendly graphs and charts, and users have the ability to download and export bulk data for their own analyses. Further, the portal acts as a one-stop shop for the city’s internal users, meaning Mesa is streamlining cross-departmental data sharing by "eating their own dog food." Off the bat, the portal features 94 new datasets related to building permits, bike paths and other information related to strategic priorities. Users can also put in requests for datasets they’d like to see on the portal. The city’s Open Data Management Policy, which was signed by City Manager Chris Brady last October, affirms Mesa’s commitment to joining the open data movement. Meeting the majority of Sunlight’s open data policy guidelines, it firmly establishes processes for the collection and release of quality data, takes major steps to ensure that data release is timely and is prioritized based on city priorities and public feedback. It also mandates an annual open data report and review process — an activity that will be fundamental in the effort to achieve the policy’s ultimate goals. A key feature of the policy is the establishment of Mesa’s first ever Open Data Leadership Board, which is charged with overseeing the open data initiative. The board includes representatives from the City Manager and Mayor’s offices, the City Attorney and representatives from several departments, with the IT department playing a key role in facilitating the open data initiative. They worked diligently to create a prioritization process for the release of data and to design the open data portal. The board, which meets regularly, will continue to play a key role in the open data process moving forward. When What Works Cities partners Sunlight and the Center for Government Excellence began work with Mesa — the first city to officially sign on to the $42 million dollar Bloomberg Philanthropies program — city leaders had a clear vision for advancing open data in their community. It has been a pleasure seeing this vision unfold, and we are inspired by the extremely hard work that city leaders put into this process. It’s clear that they are headed down a path that will establish them as a leader in open data for mid-sized cities. Mesa has already begun sharing their resources and lessons learned to aid other communities across the What Works Cities peer network.